Across Scotland, Liberal Democrats will be campaigning for a People’s Vote this Saturday to coincide with the People’s Vote march in London. We are delighted to see members taking to the streets and organising street stalls, delivery and canvassing sessions, and it would be great if Scottish ALDC members can take a leading role in the events. We really need to get the message out that the Liberal Democrats have been taking the lead in fighting Brexit from the start, which is why we need as many members as possible to make an impact. 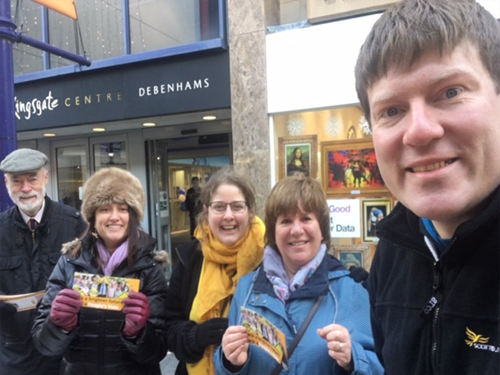 If you can help out, please find your nearest events on the Scottish Liberal Democrat website or get in touch with me, James Calder, ALDC Scottish Development Officer at james.calder@aldc.org.